Recognised as one of the Celtic nations, Cornwall's heritage dates back to the Palaeolithic period, making its landscape one of the most untouched ancient wonders. 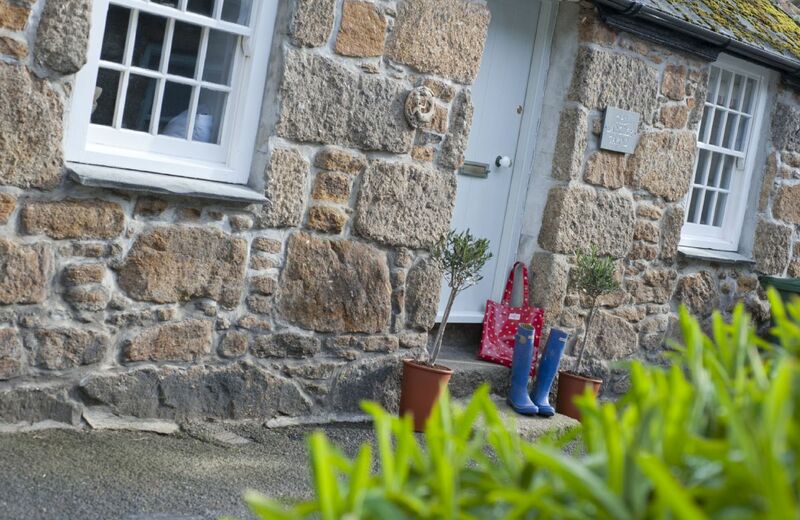 Many of our Cornish holiday cottages are located at the very heart of it. Large portions of the coastline are classed as an Area of Outstanding Natural Beauty including the famous Bodmin Moor and the stunning, working steam railway that runs through it. With such an eclectic collection of heritage to explore, Cornwall is an ideal place for a cottage holiday with so much for the whole family to see. Alongside the cultural heritage there's a lot to get involved with. Cornwall's also famous for being the location of the Eden Project along with many ruins such as Tintagel Castle, St Michael's Mount and Minack Theatre. If you're bringing the kids to your self-catering holiday cottage then you’ll also find a whole host of attractions suitable for the children too. Newquay Zoo is a popular place to visit along with Crealy Adventure Park which will get the kids running around all day long and we certainly recommend visiting. Talking of animals; Cornwall also has many animal orientated attractions too, such as the Monkey Sanctuary and the Seal Sanctuary, all of which are in easy reach across the County. You'll also find several dog-friendly holiday cottages in Cornwall available to rent as your holiday home. Bring the whole family to this seaside county! Besides the plethora of activities, Cornwall has a stunning selection of countryside to explore on your holiday. This includes the unique beauty of the Cornish coastline and beaches which is well worth visiting. Dotted with charming small villages and towns you can also experience local cuisine and seafood which is fished fresh off the coast that morning. 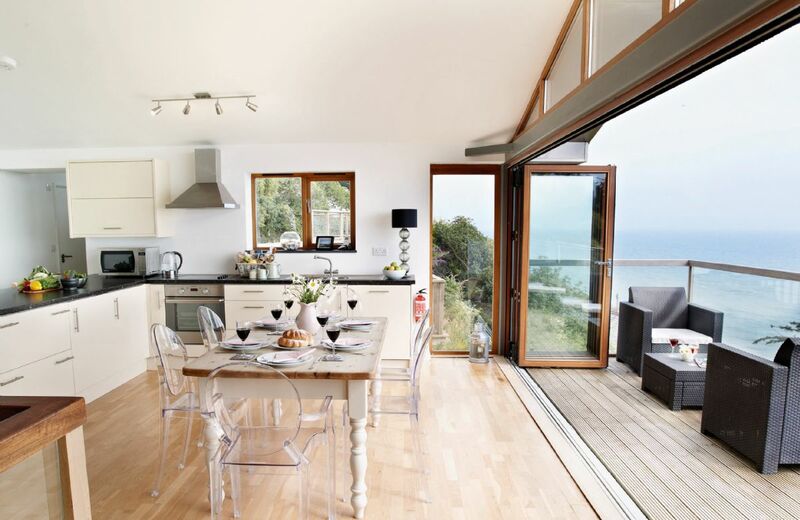 Explore our range of luxury holiday cottages by the sea putting you right next to some of these great places to eat. The epicentre of England's surf culture and prevalent coastlines are amongst some of the things that attract people to this far out county. 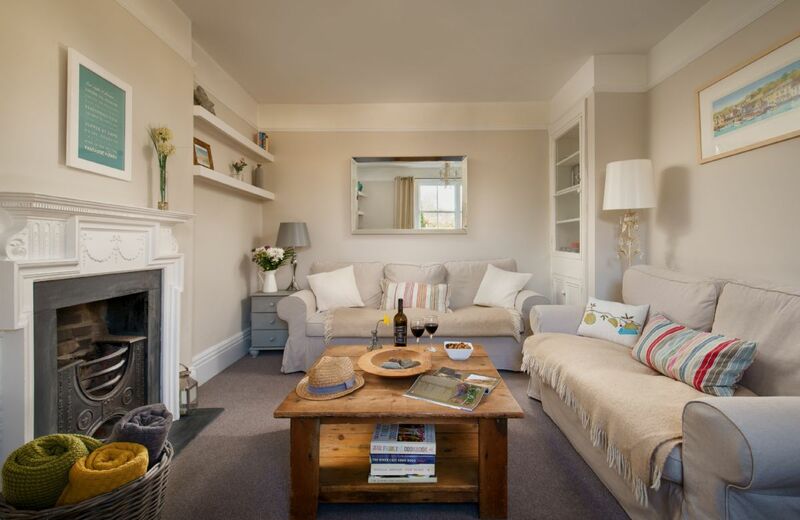 Our self-catering holiday cottages in Cornwall have ample room for up to 8 guests making larger groups or groups of families an ideal base for exploring the rest of the county. Some of our properties include cliff top views right through to secluded countryside settings in the rolling hills located around Bodmin and Talland Bay. 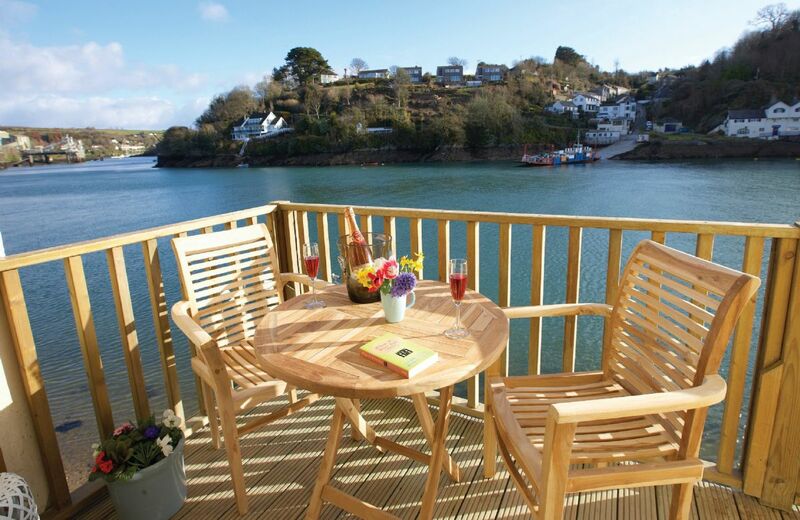 Our beautiful, isolated Cornish cottages are ideal for two looking for a romantic getaway with some privacy. Our collection of unique properties extends from eco-friendly lodges to barn conversions and stunning stone cottages, each with their own set of characteristics and amenities. Whatever you choose to do you'll find your stay an incredibly enjoyable one. 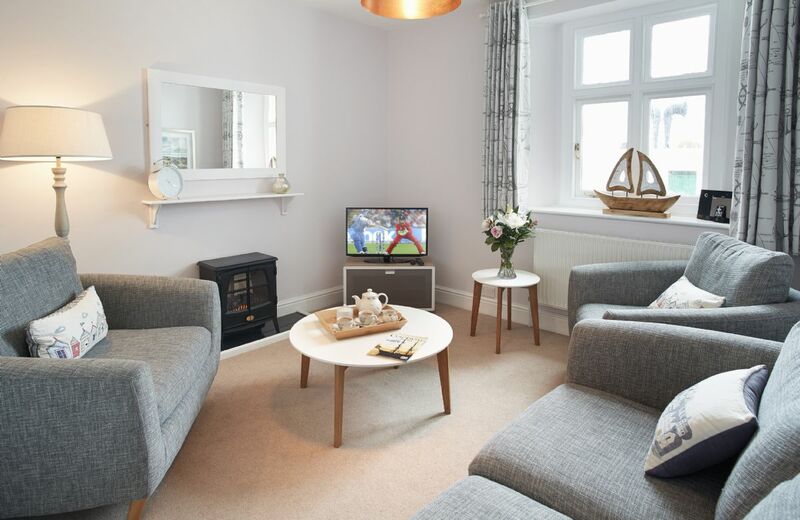 Now you can choose a relaxing holiday cottage in Cornwall to act as your home for the stay and relax in the evenings after a busy day out seeing the sites! The location and actual property itself is definitely a 5. But the cleaning standard lets it down. I don't expect to find pubic hairs in the bathroom sink and the bath needing cleaning on arrival. We have stayed at many Rural Retreat lighthouses in Cornwall and haven't encountered this before. The Lizard lighthouses used to be run by Cornish Cottages and the cleaning standard was very good. But there has certainly been a drop in the standard of cleaning since the Rural Retreats cleaner took over. It has not put us off from booking already for next year but I thought it was important that Rural Retreats are aware of our views. 2nd time there in4 years, great place! the welcome in hamper was 1st class!, The only little thing was the kitchen this looking abit tired. Good location, fantastic views, good accommodation with comfortable beds, spacious rooms, a decent selection of food/goodies in Hamper. Easy to tour around Cornwall, local town nearby - 10minute walk, nice walks along the shore seeing variety of bird life and grey seals. A "good" to get away from everything Holiday. No regrets, and we would do it again. Accommodation clean and comfortable. Views fabulous. 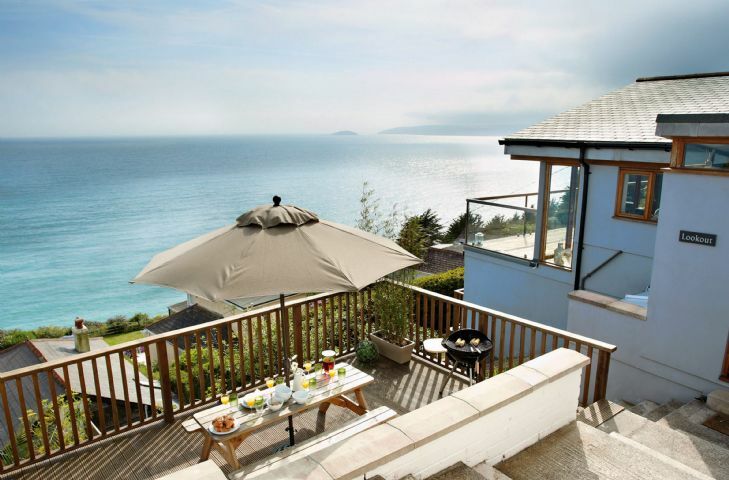 Lovely accommodation, incredible views, wonderful walks, superb seafood, enchanting area. Only negative is the foghorn will upset your sleep. We had it for 1 whole night out of 3. Its a risk and you should be aware the weather changes rapidly. What a fabulous place to stay! It was for our Honeymoon! and my husband hasn't stopped talking about how fabulous the place was to stay, we were the only ones staying there as it was November, the setting was idyllic waking up to see the sea every day and so peaceful, even though we had a storm one day you couldn't tell. We even got to hear the fog horn! which to be honest isn't as loud as you would expect! the Welcome hamper was fantastic! and Jo even called me to see what wine we wanted and was able to accommodate us as we don't drink wine.The pub in the village was wonderful and food was excellent! I wanted to stay and live there forever! Thank You Rural Retreats I Will be recommending you to all who ask about our honeymoon. Die Lage des Leuchtturmes ist phantastisch, wir hatten Anfang November sogar das Glück, an der letzten Leuchtturmführung des Jahres teilnehmen zu dürfen. Die Wohnung ist sehr geräumig und geschmackvoll eingerichtet (sieht man mal von dem elektrischen Pseudokamin im Wohnzimmer ab). Die Zimmer waren gut geheizt. Der Empfang mit einem Korb voller Lebensmittel und frischen Blumen auf dem Küchentisch war sehr angenehm, die Schlüsselübergabe unkompliziert. Unzureichend fanden wir die Sauberkeit in Bad und Küche. 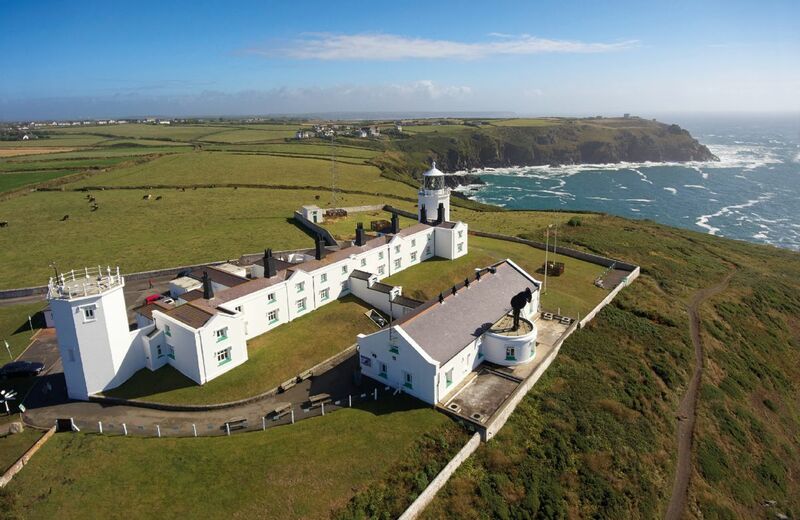 This is an amazing place to stay but I would recommend in the summer with a less chance of fog, we thought it would be cool to experience the working lighthouse in October but after a week of the foghorn going off every 30 seconds we came home rather sleep deprived. But what a view out the window. They say quarter of a mile to walk to the village Lizard but it's not possibless especially with young children! Some minor issues with housekeeping chiefly with respect to a few deficiencies in supplies. Great place. BUT beware the foghorn-every 30 secs when needed. We were not warned about this, and Bishop Rock is closest to it. Thank you for your feedback. I am sorry you did not realise that there may be a foghorn. 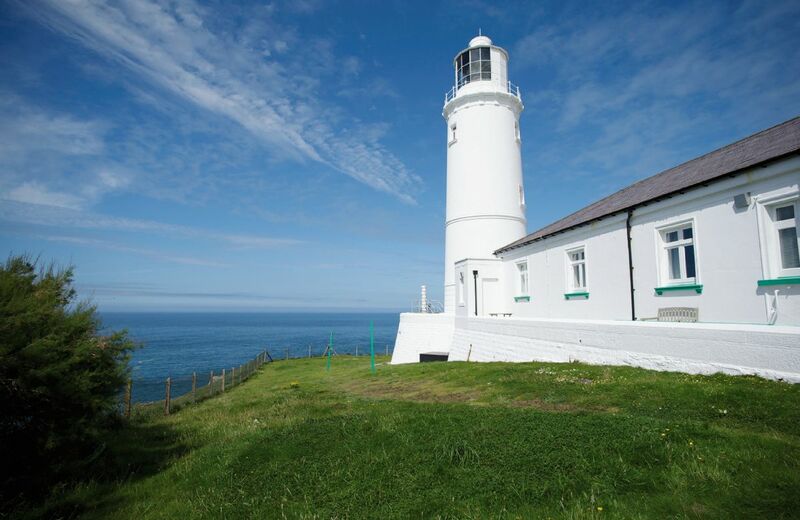 We do say on our web page -' Lizard Lighthouse is a fully working lighthouse, first established in 1619. ........................ It has a 26 mile light range and an automatic 3 mile fog signal if conditions are misty'. awesome cottage, except one of the rooms wasn't supplied with towels. extra blankets would also be a bonus. SUPER friendly host given that i left it late to arrange arrival, and amazing hamper of goodies waiting for us on arrival. JUST what we needed. thank you! Perfectly clean. A bit unusual to get 1pt of Whole milk. Most places provide 2pt of semi skinned which I would have thought would be most peoples preference these days. There were no ear plugs for when the fog horn went off! A great location with privacy but also easy driving distance to sight see, beach walk and eat well. The accommodation was clean and simply furnished. The hamper of Cornish food and beverages was a really appreciated touch. A wonderful experience seeing the light house beam across the night sky. The hot tap in the bathroom didn’t work (shower was fine), the curtains are too thin, making the room too light at 5am, and the synthetic duvet and pillows were horrible and sweaty. Otherwise lovely. Perfect , tranquil peaceful couldn’t ask for more! Lovely stay in a lovely spotless cottage. I booked Brook Cottage for my partner's 50th Birthday. When we were arrived we were blown away by the surroundings and the cottage. The hamper was a welcome treat and the place was beautiful. Fabulous coastal walks on your doorstep and the wonderful Constantine Bay beach close by. Will definitely be back again at some point. Enjoyed, as always but not so well stocked as usual. Had to buy extra toilet paper, cadge dishwasher tablets, no washing up bowl. dustpan brush and only one tea towel for a week! Rolling pin still had stickers on, toilet and fridge not cleaned that well and comfy chairs really quite tatty. Great holiday but not up to standard for the money. Wonderful location, would 100% review but shower was tiny, surely a better solution would be a wet room. Very warm and comfortable cottage. The access road was being re surfaced during our stay which made coming and going out slower. 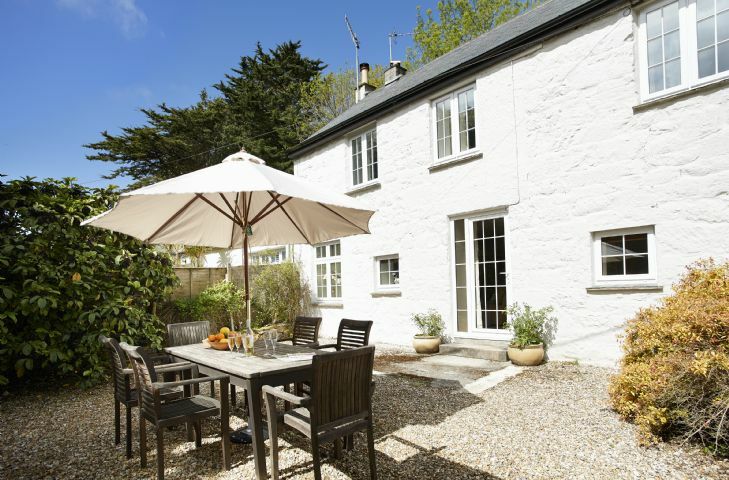 Brook Cottage is superbly located, close to Padstow and within walking distance of some terrific family friendly beaches. The views were also to die for. We also had the thrill of watching a meteor shower from the cottage on our first night. The cottage is comfortable, warm and well equipped though some of the living room furniture should be updated in the foreseeable future. Very well kitted out, clean and modern, if not a little chilly, esp in the bathroom with no hot water available! Shower good. Wifi intermittent. Quality beds and linen. Lovely welcome hamper and housekeeper! Amazing views and walks. Staying at a lighthouse has been a dream come true. Surrounded by beautiful Cornish nature with lots of sights nearby. 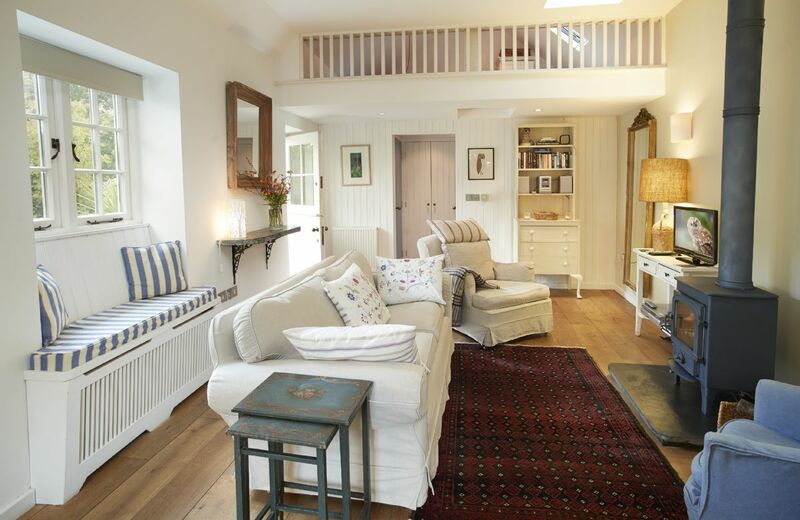 The cottage itself was so nicely refurbished and perfectly clean, and the welcoming basket outstanding. 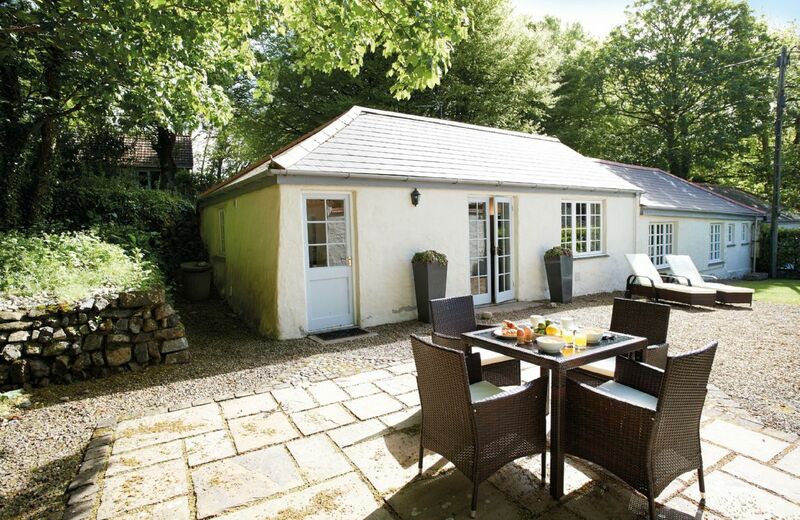 Fantastic setting, a well organised and stocked cottage. Thank you for your lovely concise feedback. Brook Cottage was beautiful. The Trevose Head Lighthouse is a picturesque setting in itself, but walking through the cottage door after a long drive was a nice experience too. The cottage is warm, welcoming, prettily furnished, and there was a wonderful selection of food from Cornwall in a hamper (and in the fridge) in the kitchen. The bed configuration was ideal for our family of 2 adults and 2 children, and the bedrooms were a good size with comfortable beds. The bathroom was small. Though it would be helpful to have a small hanging shelf in the shower cubicle on which to place soap and shampoo, the bathroom was otherwise adequate with a deep window ledge that was big enough for multiple toiletry bags. The wifi in the cottage was a good speed. We didn't have mobile phone coverage there but a landline phone was provided. Outside the cottage, there was a grassy area around the lighthouse with a table and chairs. There was plenty of space for our kids to stretch their legs, and the views of the coastline and sunset were fantastic. The other cottages at the lighthouse share this area too, though we rarely saw anyone else over the three nights we were there in June. The directions we received regarding road access to the lighthouse were good. The roads are narrow, one lane only. There was enough parking for our one car in a gated car park for the lighthouse and other cottages. We would recommend this property to family and friends. Thank you so much for your comprehensive review and great recommendation. Beautiful, stunning location. Welcome hamper fantastic. Can't wait to return. 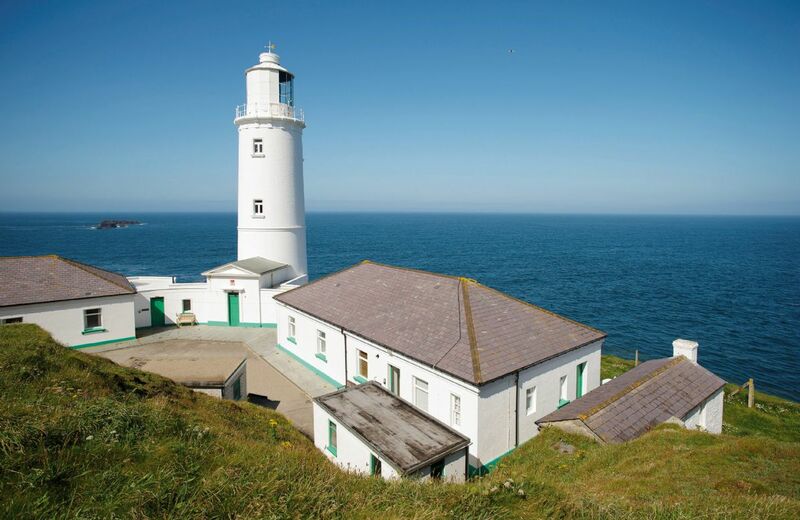 Presented in association with Trinity House, Trevose Head Lighthouse lies on a headland between sandy beaches, four miles west of Padstow. Brook Cottage is one of four delightful cottages on this private site, sheltered beneath the headland. Lovely hosts who provided a wonderful food basket on arrival & were happy to help with our needs during our stay. Absolutely beautiful property & location. Barn conversion was to the highest standards. 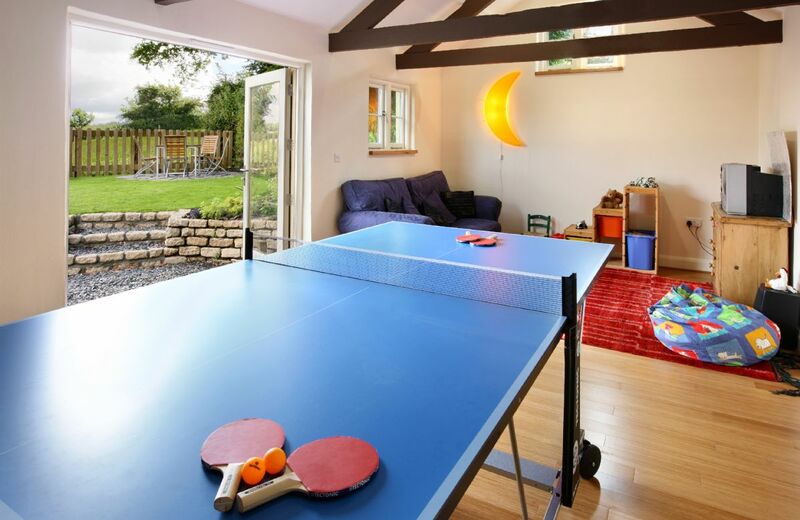 Games room was enjoyed by all as well. The neighbours were also very lovely! Only thing I'd suggest is for the directions to include a recommendation (for out of country visitors who aren't in the know) to use the sat nav. We did find it with the written directions & some kind help from a stranger in a nearby town, but once our hosts suggested we use the sat nav navigating the unmarked lanes became a breeze! Not the highest standard property compared to others from Rural Retreats. That said, it was very fairly priced, with a very reasonable standard. The hosts were very pleasant. The surrounding area was very quiet and pleasant. Thank you for your lovely comprehensive review of Higher Pempwell Barn. We are sorry that the location information on our website page for this cottage didn't match the brochure details. We have amended the website accordingly and have written to you under separate cover. Beautifully appointed property; carefully and well equipped. Delightful owners, who made every effort to ensure our property was delightfully decorated for Christmas, and who were on hand to offer assistance and information, but were not in the least bit intrusive. The place was beautiful, people very helpful and kind. The accomodation was at an excellent standard, but I am sorry I didn't feel it was suitable for a young baby in our case a 14 month old crawling toddler. We had a gate on the top of the stairs which was safe, but she kept pulling it and rattling it. The was no gate downstairs where the bedrooms are. It was much cooler and had access outside from the downstairs. I think more toddler gates would be good. Upstairs there are lovely double doors on both sides of the barn but again no gates so I couldnt open the lovely large french doors. It was very restricted for a baby, I would suggest young children, teens and adults it's perfect. Next time I will book a ground floor place. Unfortunately none where available when I booked hence I booked this place as it said it was suitable for babies. Excellent quietly located property, exactly as per the brochure. Very friendly and helpful owners who live next door, and had a wealth of local knowledge. We would recommend it to anyone and we hope to return in the future. The owners were lovely - very welcoming and helpful. Will definitely go back.. beautiful spot and the local pub did amazing food. 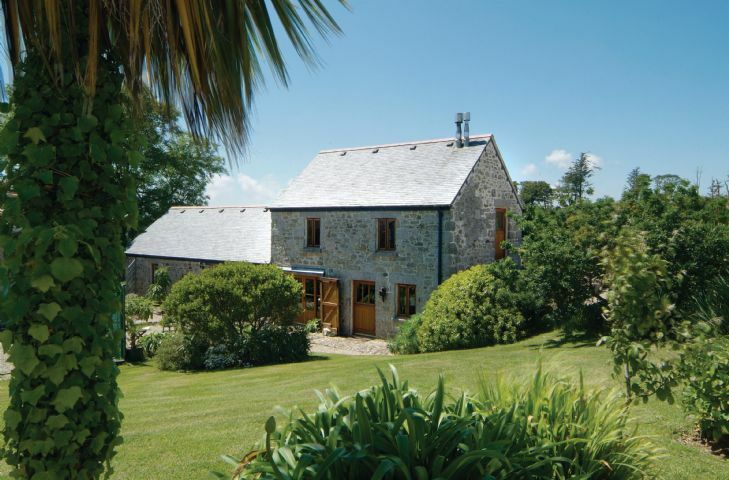 This Grade II listed granite and slate barn has been converted to a very high specification for holiday use. It is situated in an idyllic hamlet on the edge of the stunning Tamar Valley, an abundant wildlife habitat. Tutto perfetto.Casa perfettamente attrezzata,posizione meravigliosa molti spazi sia chiusi che aperti.Davvero una bella esperienza.Complimenti. The property was clean, but there was a smell of diesel or paraffin This was very marked in the bathroom area. Sehr schöne Wohnung aber zu teuer. Begrüssungskorb war toll! the location and the property were ideal. we thought however that the arrangements for rubbish could have been better, there was only one Biffa bin for the whole sight and on one occasion there was rubbish everywhere as it had overflowed. some information regarding the nearest dump for bottles would have been helpful also. lovely few days in a quite place .There were lots of walks in easy reach and we went out twice a day . the evening walks after most people had gone home felt very special. Very comfortable and warm in eight inches of snow.Enjoyed the presences of the light and the foghorn ,sounded like a lonely Tawny Owl. Welcome basket generous and staff support when we were snowed in sensible and reassuring. Everything better than expectation. Very clean and superb seasonal welcoming goodie basket. Purely as a constructive point:- I know you are not selling this as suitable for the disabled, but I did find the bath too narrow to raise up from and it was dangerously slippery when using the shower with no bath anti slip mat or a handle to assist balance. Gorgeous, clean, comfortable cottage with amazing views and lovely walks. No wifi and no phone signal is the downside, if you still need to do business with the outside world, especially at the luxury price of the cottage. Without internet access, it would have been nice to have maps and more local info at the cottage. Accommodation as rated - comfortable and well equipped. We enjoupyed our stay at Longships. Cosy cottage, outstanding location..hope to stay again soon. Very comfortable, even supplied earplugs for when the foghorn from the lighthouse was working! Don't let that comment put you off though it's a great place. We will be back again definitely. It needs to be pointed out in the write up for the accommodation that it is not suitable for elderly/disabled people. The stairs are very steep and stone and the bathroom is so far away from the bedrooms so coming down a really steep set of almost black smooth stairs, through the dining room, through the hallway, through the kitchen and then into the bathroom in the middle of the night is not great. Spoiled the stay. Thank you for your feedback. Due to the nature and the age of the properties all our lighthouses have a downstairs bathroom and we are very sorry that this particular set up spoiled your stay. Cottage was generally OK but some problems. Local contact was useless. This has been communicated to Rural Retreats already with a list of problems encountered. Overall not up to the usual standards experienced on previous experience of lighthouse cottages. Excellent cottage, warm and cosy. Breath- taking views. Always a pleasure to stay here. Never want to leave. The property was very well equipped, in a stunning location, lovely welcoming hamper on arrival, and flowers on the dining table. House immaculate, The housekeeper very approachable and friendly, and left lights on for our arrival after dark. Great welcome basket and a clean well fitted and equipped cottage. The cottage was quiet and perfect for a week's break. because it's a fantastic place, site, cottage, everything. We've been here seven times! niggles. Not enough crockery for a house with a full sized dishwasher. Only 8 of everything. Ran out of mugs and had to wash them up! Washing machine not easy to use had to ask the housekeeper to help. Bath very slippery when using the shower. Managed to leave the key in door (outside) and locked the door from the inside. This meant we were locked inside the cottage. Not ideal. Fortunately one of us climbed out of the fire escape window and unlocked the door from the outside. Despite the above we had a fabulous holiday and would visit again. Loved the hamper. This is an exceptional accomodation beautifully furnished and equipped. The views from the windows are spellbinding. In a great position for walks with exceptional views. A stary night showed off the light to best effect. Would recommend this without hesitation. 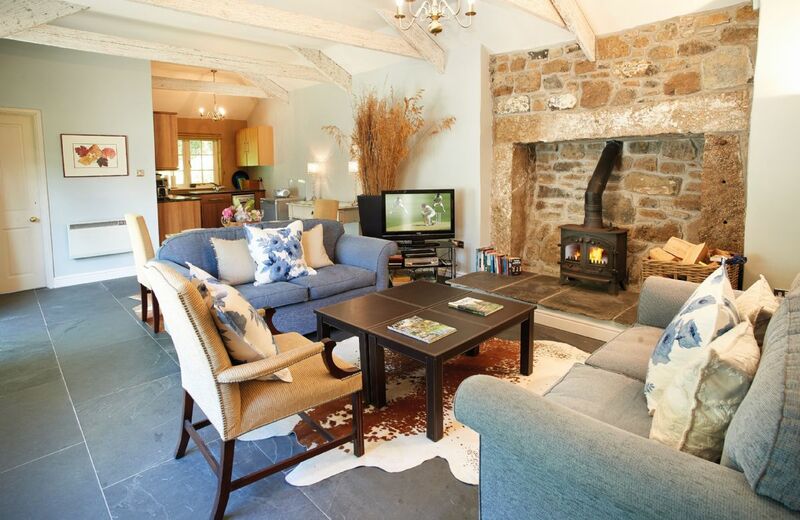 the cottage was in a spectacular location and was very comfy, warm and well looked after. the welcome hamper was superb. Clean, warm, great facilities, spectacular views, nothing more you want in a self catering holiday. Perfect location, beautiful cottage. Don’t want to leave a review as more people will want to visit and then it will become harder to book! A great cottage, well decorated and equipped with quality furniture and equipment. It felt like staying in a friends home, rather than a holiday cottage. Kitchen well equipped with all the bits and pieces you need. Beds very comfortable, heating efficient - the whole ambience is spot on. Lovely location, simple but perfectly comfortable accommodation. Very helpful caretaker. Cosy cottage in a tranquil location. Friendly & helpful staff. Lovely cottage. Great location. Excellent welcome basket. The cottage does have a severe problem with wood lice...mainly in the bathroom and hallway. The first job we had to do on arrival was Hoover them up, then every morning of our stay one of us did wood lice patrol and went round with a dustpan and brush and picked them up. Thank you for your feedback and your kind comments about Nimbus. I am extremely sorry about the wood lice - Rentokil have now been in to spray the property. Some dog hairs on bottom of bed, otherwise would have been 5 stars. 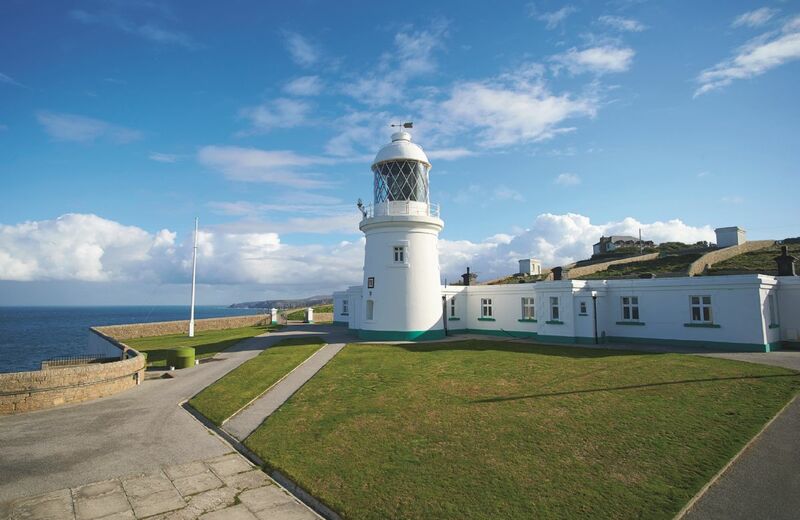 Presented in association with Trinity House, Trevose Head Lighthouse lies on a headland between sandy beaches, four miles west of Padstow. 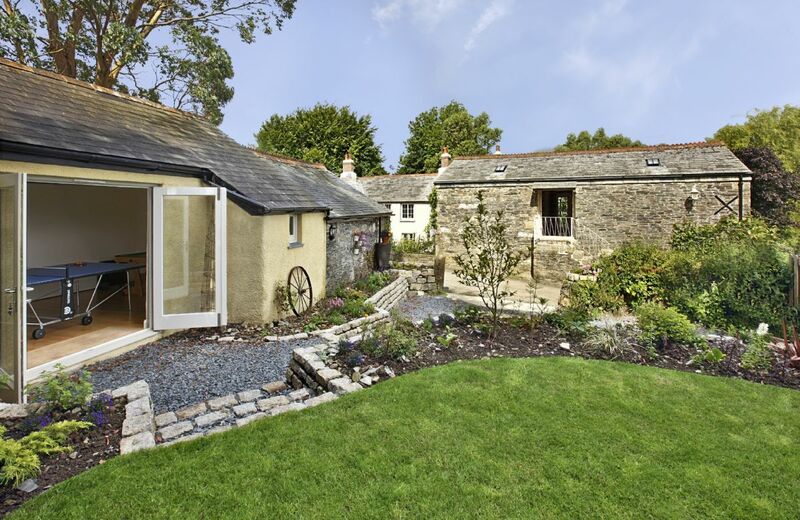 Nimbus Cottage is one of four delightful cottages on this private site, sheltered beneath the headland. this is my second time back , the house is beautiful , very clean , the host is so kind leaving the fish pie and brownies I would go back time and time again . Spotless, homely and very stylish accommodation in tranquil surroundings, the only sound was birdsong. The table was beautifully set for our arrival and the welcome fish pie and brownies were just fantastic. Excellently located for exploring and peaceful to come back to, we didn't want to leave. Absolutely everything we wanted AND more. Simply stunning, stylish and what’s more, the perfect location for our dogs. The owners are so lovely, and it’s not hard to see why both the Barn and the Farmhouse are always fully booked. The best fish pie and simply decadent home made brownies greeted us on arrival. After an 8 hour journey, we couldn’t have asked for anything better. One word of advice - book early, otherwise you’ll never know what you’re missing with this delightful location and glorious property. Simply heavenly! The fantastic feedback for Tregadjack Barn continues, thank you so much. The most beautifully furnished and laid out cottage we have ever stayed in. Small touches to ensure your stay is as good as it can be. 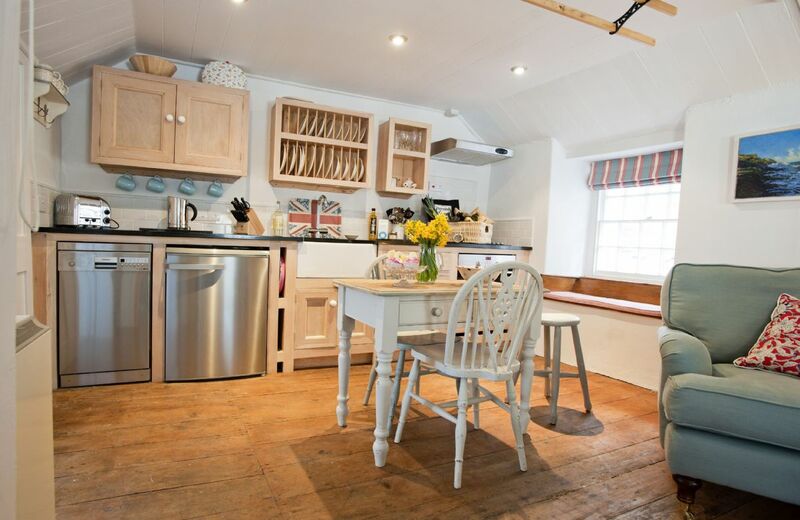 If you want a cosy cottage, this is the one for you ! Great last minute find, good location, Christine & Phil are wonderful hosts. Fish pie & wine was delicious - will definitely go back. 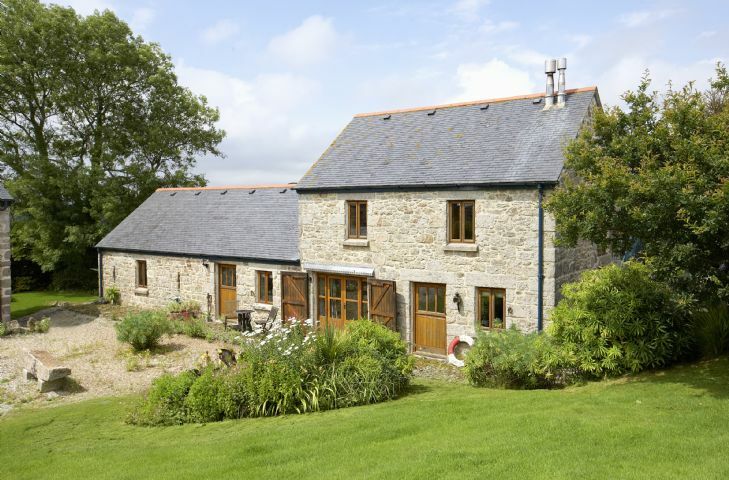 A lovely barn conversion in a beautiful location but not far from many places to visit. The barn was spotlessly clean and very well equipped. Fantastic welcome hamper which included a gorgeous fish pie and the yummiest brownies I've ever eaten! Very friendly owners who were on site if needed. Highly recommended. Truly wonderful barn in a perfect and tranquil location. Fabulous hosts, beautiful garden, clean and very comfortable place to stay. Highly recommended. Another fantastic review for Tregadjack Barn. Thank you so much. This was the perfect, much needed and long overdue escape for a week in August 2017. The barn was very cosy with everything thought of and exceptional attention to detail and the welcome hamper (bacon, bread, milk, musli, marmalade, coffee, vegetables, cheese and biscuits) home made fish pie and delicious brownies meant we didn't need to think of dinner or breakfast for two days. Our two dogs loved being able to roam freely and safely and called on Gordon and Gladys, the owners' border collies, every day to go out exploring together in the fields. None of us wanted to leave and Christine and Phil were the most fantastic and thoughtful people - there if we needed them but never intrusive. We will definitely be returning. Thank you for your special feedback for our much loved property Tregadjack Barn. We had a very pleasant stay in this cottage. 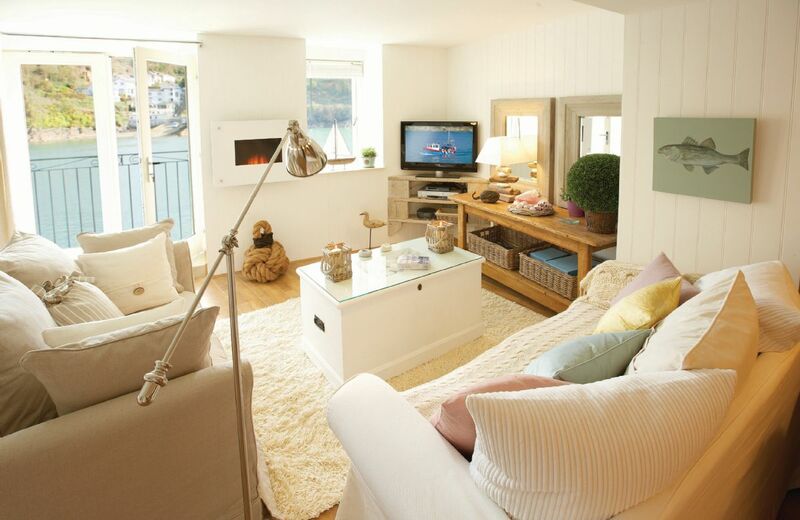 The owners had thought everything through , resulting in a beautiful and comfortable cottage . Loved the location as the cottage is surrounded by fields but also within easy driving distance to lots of attractions. Very dog friendly. Tregadjack Barn is a truly amazing place to stay, the owners Christine and Phil are such wonderful people, nothing is to much trouble to help you have a super stay. Christine's attention to every detail is fabulous! As is Phils. The Barn is absolutely spotless and the welcome received on arrival is wonderful, you couldn't ask for anything better! We have been coming to Tragadjack Barn since 2015 and wouldn't go anywhere else. Christine and Phil have two super friendly dogs Gladys and Gordon who love to play. We are going to Tregadjack Barn again for two weeks, last week in September first week in October 2017, plus for three weeks for the New Year Celebration. We have become great friends with Christine and Phil and dogs, we would highly recommend Tragadjack Barn to those who enjoy peace and quiet and first class service. On arrival there is always a super meal of a most delicious Fish Pie to eat, Homemade Brownies by Christine, yum! and a super Hamper of food, FABULOUS!!! What more can we say. From Jan and John Byatt. Wow, what an amazing review of Tregadjack Barn and what a recommendation. Thank you. Christine couldn't have done more to make us welcome. You supplied a good property for holiday. Tregadjack Barn is absolutely fabulous, Christine's eye for detail is first class, the Barn is spotlessly clean, everything is supplied, just bring your clothes and some food if you wish. A Fish Pie is waiting on your arrival for you to eat also a beautiful Welcome Hamper. We have stayed at Tregajack Barn 6 times and are returning for the New Year Celebration and have so far booked four times for 2017. Christine and Phillip give you a warm welcome it makes it so hard to leave this beautiful Barn and wonderful owners and their dogs. Outstanding and delightful we wouldn't stay anywhere else!! We rate the Barn 200% if we could. Marvellous and out of this world!! The Barn was excellent, with great attention to detail. The owners Mr & Mrs Briggs live on site, and are so lovely / professional. They are available to offer help if required, but also provide privacy for their guests. Their local knowledge and suggested local places to visit proved invaluable. I cannot praise them enough. The gardens up kept by them are stunning. Overall, they made the holiday extra special. WOW! Tregajack Barn is the most amazing place to stay, luxurious, with beautiful Antique furniture in a gorgeous setting. The attention to detail by the hosts Christine and Phil is superb. The welcome Hamper on arrival is wonderful, full of lovely goodies to start your holiday off. Chris's Chocolate Brownies are scrumptious as is the most welcome Fish Pie meal on arrival. The grounds and gardens are beautifully kept, and are there for guests to use. Our dog 'Lola' was made as welcome as we were. I would recommend Tregadjack Barn 100%!! we have already booked for 2017! I think that says it all a 5star Barn with 5star hosts!!! Situated in a very private, tranquil setting of 20 acres near Sitney, Helston, this is an enchanting granite property, elegantly furnished with antiques. Nearby is the pretty harbour of Porthleven with a host of excellent restaurants and pubs. This was out 10th holiday in a lighthouse cottage. The cottages used to be sparkling and top notch when it came to cleanliness and condition. They were also furnished with quality items and beautiful curtains etc. There were relevant pictures of lighthouse plans for example which really added to the atmosphere and the furniture was sympathetic to the fact that they were lighthouse cottages!! Sadly this is not the case anymore. The interior of Verity shows absolutely no connection to its history and the bedroom we slept in was as bare as it could have been. Not one picture on the walls, not a chair to put clothes on, nothing in it at all. The two pictures in the cottage are bland generic seascapes which add nothing. The worst room was the kitchen. This should have been replaced a few years ago. Knobs missing, dirty pans, pans that were so used that the non stickstick surface was badly damaged. The drawers are badly worn and scraped and all in all it was a huge disappointment. Sad to say that you have left these cottages go beyond the date when kitchens for example needed replacing. The fan grill high on the wall in the kitchen was filthy and on the hinges on the fridge door large amounts of dirt and dust. We have loved staying in the lighthouse cottages over the years but it is time you put some money into estiring them to their former glory. Caroline and her husband did a great job and were wonderfully friendly and helpful. She showed me the new kitchen in Brook cottage which looks lovely but the arms on the sofas are threadbare and dirty! Thank you for taking the time to comment on your recent stay at Verity Cottage. 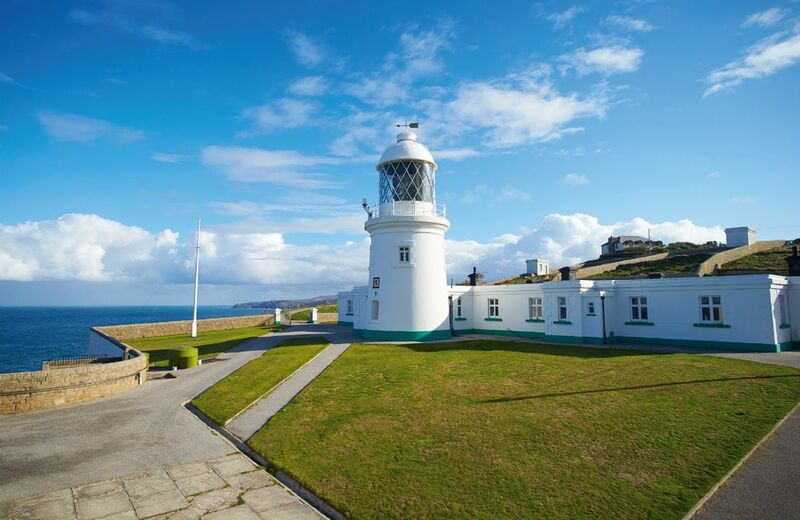 It is always lovely to hear from regular guests who enjoy the qualities that our lighthouses offer. As you are aware, every lighthouse is different and offer guests a unique holiday experience. As part of our annual maintenance reviews we are in the process of reviewing and replacing a number of inventory items at all our lighthouse properties. We have asked the housekeeper to address the housekeeping issues, as part of her quarterly deep spring clean. A lot of the Trinity House estate has recently undergone kitchen and & bathroom refurbishments and the kitchen refurbishment at Verity Cottage is scheduled in the near future. We hope that you will continue to visit and enjoy our lighthouses, as you have done for many years. We enjoyed a perfect few nights in Verity Cottage. Very comfortable accommodation. Wall to wall sunshine and fantastic sunsets. The tranquility of the setting was amazing. It was our first time in Cornwall and our first time to stay in a lighthouse. I must say we were very all really impressed with Rural Retreats offering and with Trevose and Verity Cottage in particular. Wonderful walks with spectacular scenery everywhere you turn. All arrangement ran smoothly which helps when you have travelled long distance. Cottage was finished to very good standard and welcome hamper is great idea for the weary traveller. My daughter and I enjoyed an absolutely wonderful week here in March. As others have said, the welcome hamper was the best we’ve ever seen, and the cottage itself is absolutely gorgeous, exceptionally clean, very well laid out, warm and cosy, and very well cared for. We loved the interior design, and it’s clear that a huge amount of care has gone in to the details of a guest experience, and we were lucky enough to meet Housekeeper Caroline one day, who was extremely kind, welcoming and very knowledgeable about the area. Really, we were bowled over by her warm welcome and the high standards of maintenance both inside and around the stunning lighthouse itself. 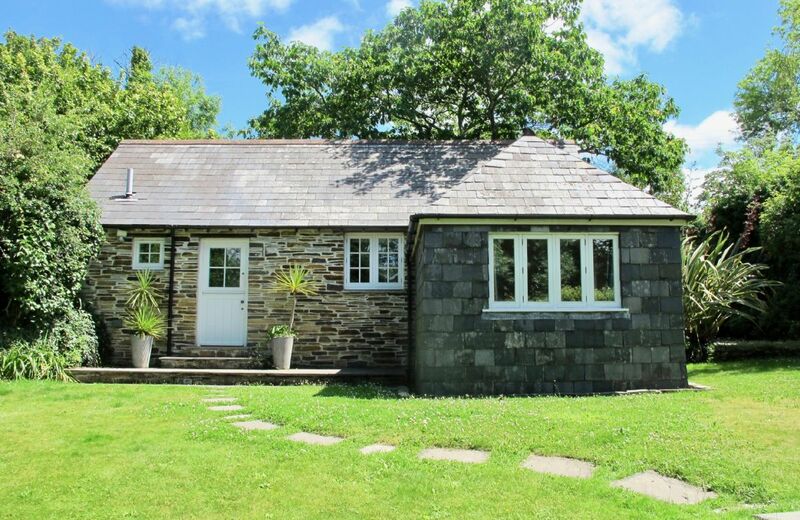 Verity Cottage is by far the best self catering cottage we’ve ever stayed in - quiet, private and with absolutely stunning views of the North Cornish Coast, but also a great base from which to explore Cornwall, with all basic amenities nearby. My daughter is very active, and enjoyed many coastal walks and the nearby surf beaches, and we also travelled to other areas of Cornwall some days, always delighted to be returning to such a beautiful base. We very much hope to revisit! Verity cottage was the perfect christmas holiday. It was cosy, and had every modern amenity we could ask for. The weather was dramatic and the sea wild. I thoroughly recommend a break here! Beautiful location , excellent maintained property , welcome hamper gets you started . 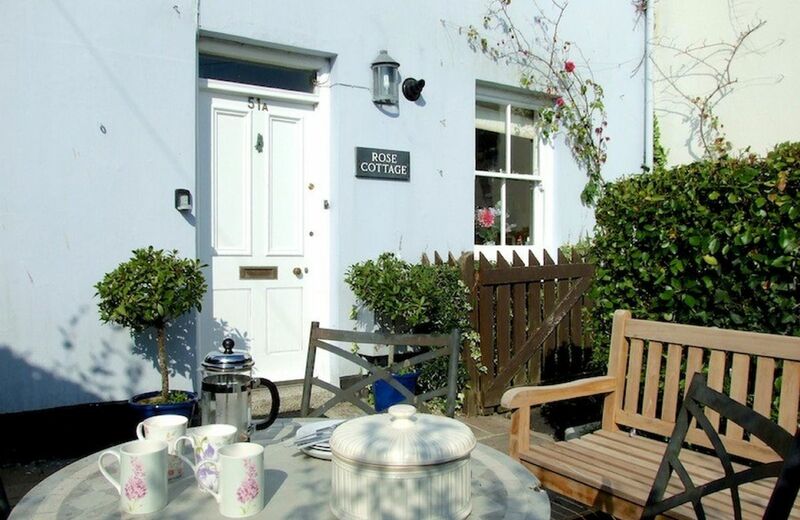 Wonderful cottage, fabulous hamper, great location. We are repeat visitors, have been coming back for several years now. Wonderful setting. Comfortable, clean and well appointed. All one would ever want for a perfect break. 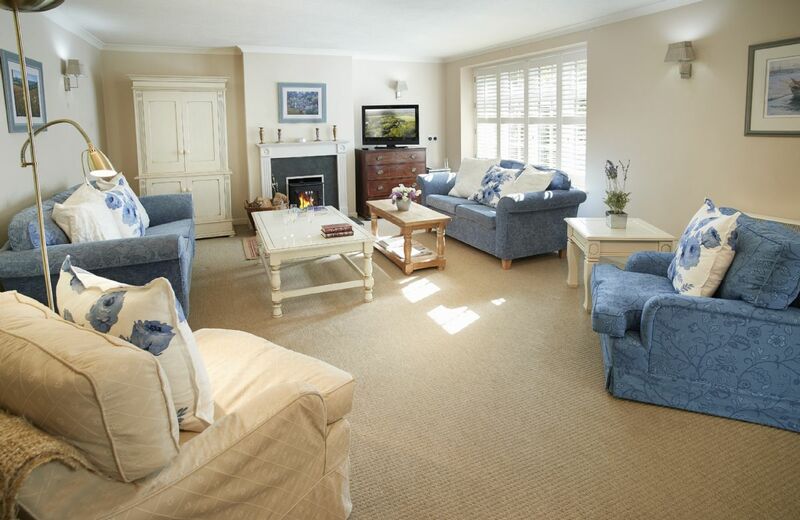 Beautifully clean and well kept holiday cottage in a stunning location. 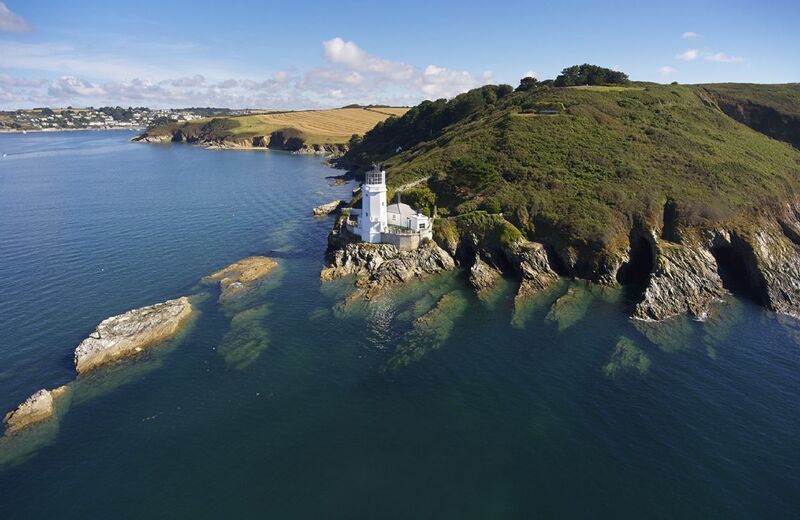 Thank you for your lovely comments about one of our lighthouse properties which is, as you say, in a stunning location. Verity Cottage continues to be an absolute favourite for the location, (as well as Captain's at Marazion).It was great to see the newly refurbished bathroom, although the shape of the angular wash basin was very close to the door. A new lavatory brush to match, would have been a preferable addition. The White Company toiletries are super. The CD player has vanished, some guests do still like to play CDs, so apart from using the television, there is no other radio. The new bed was also a welcome improvement, there are many more locked cupboards than before, leaving little hanging wardrobe space. We are aware that the kitchen is soon to be renewed, however, some of the crockery requires replacing, there are very few dishes, only a very large casserole. Every dinner plate is chipped and mugs are not of the calibre of previous visits. Instructions for appliances are not obvious or easy to find, (cooker). The housekeeper entered the cottage, without prior notice, to leave the Visitors' books, whilst we were out. Thank you for your feedback. 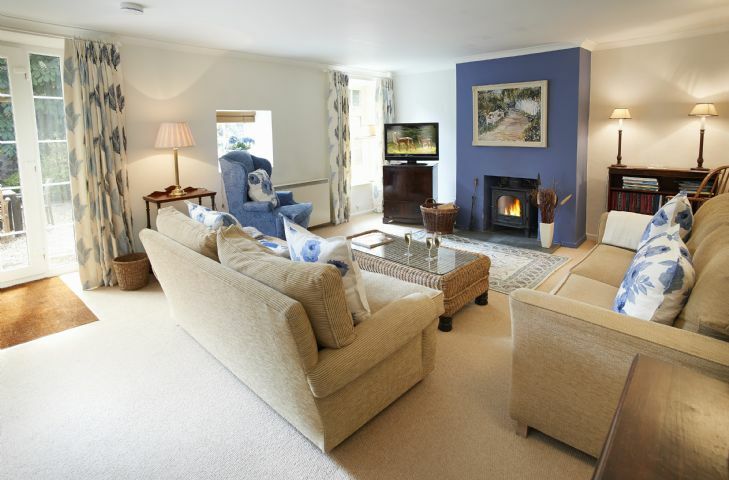 We are delighted that Verity Cottage is a favourite property of yours. The CD player is now repaired and back in situ and we are in the process of ordering replacement crockery. Wonderful location, comfortable cottage. Spotlessly clean and a lovely local hamper. China & cutlery a bit tired. Please oil the padlock on the gate very difficult trying to turn the numbers for the code. Great holiday would love to try another Rural Retreats lighthouse. Only 1 thing could have made it better. A radio in the kitchen please. Otherwise everything was excellent. The cottage is wonderful, our fourth time back - or is it fifth? Delightful housekeeper, and a lovely welcome hamper. Very high standard of housekeeping. We have stayed in this cottage many times, it is our favourite, but sadly the interior is now a little tired and showing its age. We do love it though. Verity cottage is in a wonderful location, just needs some TLC!! Fantastic location - really quiet. Housekeeper excellent with great welcome basket. Bathroom needs some upgrading. Grouting poor, bath panel falling off, radiator not working & ventilation poor. Bathroom was constantly wet/damp and couldn't leave towels in there to dry thus draped all round cottage. Presented in association with Trinity House, Trevose Head Lighthouse lies on a headland between sandy beaches, four miles west of Padstow. 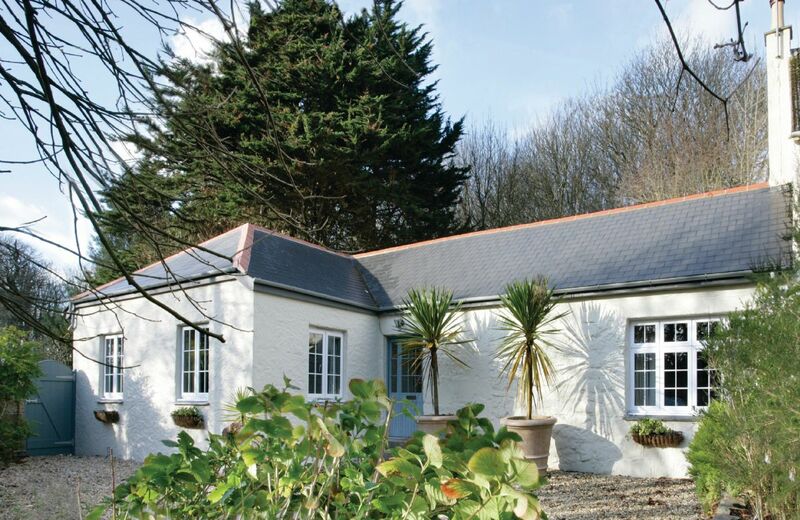 Verity Cottage is one of four delightful cottages on this private site, sheltered beneath the headland.